Perfect Emoji was born 20014 days ago in Japanese Emoji. He hides his privacy in his confidential bag. That's why only his family knows his life in detail. Nevertheless, Perfect Emoji had to be spied by the journalists. The reason is his occupation. He is the uppermost boss of the enterprise golf balls. Moreover, he was during younger years also a keyboard thrower and discovered later still golf. Thus Perfect Emoji became the producer of the golf balls. His enterprise produces regularly several golf balls. Some time ago Perfect Emoji tried to export his golf balls abroad. Perfect Emoji wanted to sell above all to Japan golf balls. But in Japan one already has enough golf balls from other countries of the planet earth. That's why Perfect Emoji tried to export the golf balls to other prospective customers. In Kepler-47 the population was interested in the golf balls from Japanese Emoji very much. So there increased the production of the golf balls. Perfect Emoji speaks during the interview about his enterprise and also of his important birthday of 20000 days. Perfect Emoji quietly counts in Japanese. After some time he wants to answer questions. The extraterrestrial Sweasy26 must still find his microphone. 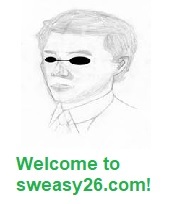 After 124 seconds Sweasy26 decides to ask the first question. Once you were a keyboard thrower in Emoji Keyboard. There you threw old keyboards as a professional sportsman as far as possible. When did you notice that you had enough of this sport and did change to golf? Perfect Emoji gets a golf ball from his back: I thought long time that I destroy with pleasure technical things. Thus I might make also as a keyboard thrower. Later one said that I should make, nevertheless, something more sensible. Moreover, there disappeared all sponsors from my visible sphere. Nobody wanted to sponsor more broken keyboards for my sport. Thus I had to look for a new employment. That's why I flew in the direction of the planet earth. There I dealt with different sports. Besides, liked me in the best golf. Though I had to make many notes. But I could import every detail from the planet earth. In addition I took a photo of everything in connection with golf. I also exactly had to study the costly golf courses. Luckily one can find in Emoji good places for golf. By this experience golf interested me very strongly. Thus I decided to announce this sport in Emoji. How was it at the beginning when you had to build up golf courses? I looked for investors for risk capital. I needed nearly 26668 local Bitcoins for the acquisition of the surface and 444 Bitcoins for the architect. Thereon many misers from the Jupiter contacted me. They wanted to finance the first golf course in Emoji as investors. Besides, a big quarrel began between the Jupiter aliens and the investors with the stingy roots from Emoji Meaning. There the local population wanted that the first golf course is built in Emoji Meaning. That's why the inhabitants of the medium-sized town misers from the Jupiter of the betrayal accused. In spite of this situation I absolutely wanted to build in Japanese Emoji the first golf course of Emoji. The sport could thereby become known in completely Emoji. Thus came a lot of small investors with amounts of 1-2 Bitcoins. Thus I had to write a whole book with the names of all investors. Later other investors wanted to buy the book. Thereby they wanted to be able to buy the participation in my enterprise directly from the stockholders. Thus I earned, even in addition, money. I could reinvest the earned money for several other golf courses. Thus I had only one golf course with many investors. I could finance the other golf courses as sole sponsor. In the interim I still built suitable factories for the construction of golf balls. Two weeks ago you celebrated your most important life day. You were 20000 days old. How did you celebrate this event? Perfect Emoji looks in his diary for the date two weeks ago: I took several colour pencils and wrote this important number where I only was able. Later I got big surprise from my employees in my job. Before the door of my office the number 20000 was written quite largely in graffiti. Later I was pelted with 20000 golf balls from my factory. My employees provided for the fact that my birthday did not run definitively boringly and unforgettably. I thanked for it them. Then I invited my employees to the golf in Japanese Emoji. How did your family react on your 20000 life days? Perfect Emoji: My family ordinarily belongs to the area of my privacy. But this time I make an exception. My children and my wife brought me a big cake with 20000 grains of rice. I was overpowered. I thought that I had to thank at least 20000 times all. This would be very costly. That's why I gave a bonus of 20000 Millibitcoins to all employees and my family. Some time ago you presented a new technology which enables to play also blind Emojis golf. How does this technology function exactly? Perfect Emoji looks at his plan: 1777 days ago I visited Neptune. There I noticed that also blind aliens can play golf. This quite simply functions, actually: Golf balls are connected by the WLAN with the brain of the player. Thus players with healthy eyes also profited. They combine with the golf balls completely at the beginning. This method makes also easier the searching process. The players find faster their golf balls and save valuable time for more fun in the play instead of the laborious search. Thereby I also wanted to perfect the game. 1898 days ago you deposited a request for the construction of a golf course in Middle Finger Emoji to the responsible authorities. Up to now you suffered in this town a defeat. Do you think that golf courses damage the valuable earth? I do not think that golf courses damage the earth. Vice versa: The golf courses must be in the middle of the nature. Moreover, I have no understanding for the authorities of Middle Finger Emoji. I was disappointed after the refusal very much. I got as an answer: The valuable earth may get no new holes. It is quite clear to me that this town experienced many problems with the theft of the earth. However, so no Emoji should also renounce in this town this game. In a survey a lot of Emojis and aliens expressed themselves on the subject Golf course in Middle Finger Emoji. The vast majority of the population of Middle Finger Emoji expressed themselves very doubtfully in addition. Only one minority of 8 percent welcomes the construction of a golf course in the town of the valuable earth. How want you to inspire the population for the construction of a golf course? Perfect Emoji looks at the wood: No worry. I consider to develop another strategy for golf. I think that I had to change something in this game. However, this should spare the earth of Middle Finger Emoji. Suddenly there comes the pizza courier and asks who would want a pizza with pumpkin pieces. Besides, there remains during 14 seconds quietly. Nobody says something. Then there comes a Horror Clown and threatens. Perfect Emoji feels unexpected hunger. He says that he liked to buy a pizza. After this event the Horror Clown and pizza courier require in each case 6 Bitcoins. Thus Perfect Emoji paid totally 12 Bitcoins for 2 gigabytes of pizza. Then there paused the interview. Now I would like to ask a question about your success in Kepler-47. In Kepler-47 you could profit so properly from the sales of the golf balls. Thanks to your enterprise many aliens discovered the golf as a leisure activity. How did you come on the idea so far away for golf to advertise? Perfect Emoji must take a broom in the left hand: When I was 17777 days old, I searched a special resort for my family and me. I investigated on the local Internet for different places of our galaxy. I found somewhere hidden a land map of Kepler-47. Immediately I found out about the travel possibilities to Kepler-47. In a travel agency I questioned the supplier about this planet. Thus I flew with my family in the autumn holidays to Kepler-47. There I got to know many local aliens. Moreover, I read many books there about the sports of the planet. Moreover, I checked the ground and found out that the earth was suitable for at least one golf course. Thus I took down in my diary. Later I returned to Kepler-47. This time I was on the move there on business. I collected information of the authorities to the approvals and new sports. I spoke with several local politicians about a sport called golf. Thereby they were interested in golf. Several politicians provided suitable places for the construction of a golf course for me. Thus our cooperation began with Kepler-47. Then the construction of the first golf courses on this planet began. I have a question still because of curiosity: How far can a golf ball be located by the WLAN with your new technology? Perfect Emoji counts in Japanese: With every new production there originates new generation of the mobile golf balls. The reach was at the beginning about one recumbent giraffe. Today the reach amounts to nearly 12 recumbent giraffes. Moreover, golf balls are connected with the players. Thus we still tried to insert the same technology like by the traditional phone devices. The attempt failed up to now. That's why we use the technology WLAN. According to studies of several interplanetary researchers nearly 100 billions golf balls lose their player within 365 days and even 111 billions to leap years. With your technology you could provide for the better findability of the golf balls. Moreover, would thereby become of the Littering by golf balls massively lower. What do you think about this statement? Perfect Emoji starts to rub his hands: This our biggest dream would be to be exported certainly planet-far our mobile golf balls. However, there I know that Pluto owns much more advanced technologies. Unfortunately, there we cannot keep up. But I still want to try this, nevertheless. This is certainly very good everything. The censorship authority has released up to now the web page of your company not for the wide population of the galaxy. How do you handle with it? Perfect Emoji looks irritated: Earlier the mighty tax authority irritated us. Now the authorities invented another more irritating method for us. Finally, I could put earlier an amount in the stingy mouth of the tax authority. Then this authority calmed down for some time. At the censorship authority I must have even my web page only restrictedly accessibly. This irritates me completely. But I decided to build up several web pages directly in the desired markets. The web pages were simply complemented with the locations. Thus I have secretly also web pages in Jupiter or other planets. How does the future of the golf balls look according to your images? Perfect Emoji requires the future ball from his interviewer: I fancy the mobile golf balls with a strong radiation. Moreover, the mobile golf balls will run absolutely automatically to their thrower. I would like to work on it with pleasure. However, thus the golfers will not have to move any more. The game thereby loses the name sport. Do you want really that golf becomes an immobile sport? Perfect Emoji feels threatened. He takes in hand his mobile golf ball: No. I think only that the golf should be made accessible also for disabled. For healthy Emojis and other players golf should be connected furthermore with a lot of movement. Well. You have got a good argument from your pocket. How did the first golfers react about your first mobile golf balls? The first golfers were very much enthusiastically from our mobile golf balls. An Emoji thanked personally with a cucumber cake us. This was very emotional. He said us that, finally, his disabled brother could play golf also with him and the whole family. This made us very proudly on our achievement. This motivated us to improve the mobile golf ball further. After the answer of this question comes the mailman and brings a newspaper of Japanese Emoji directly in the hands of Perfect Emoji. The uppermost boss shells out the newspaper up to the end. He is interested in the weather in Japanese Emoji. Then he turns the pages on the page 4 of the newspaper. There he finds a report about the mobile golf balls of his enterprise. Perfect Emoji shouts from joy. Our mobile golf balls are represented so prominent in the local newspaper. Incredibly. This thought Perfect Emoji about his revolutionary products. 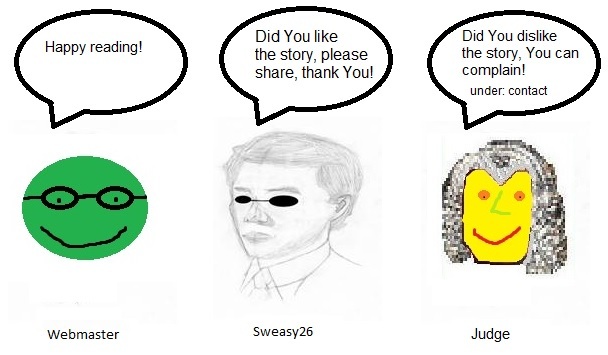 In this optimistic point finished Sweasy26 the interview with Perfect Emoji.